If you’re like me your racing and trail riding come with a budget and you sometimes need to make compromises in order to get out on the track or trail. After bending an A-arm so bad that I couldn’t finish a race, I looked into purchasing a set of thicker and stronger aftermarket arms, but the prices were just too high for my budget. I wasn’t looking forward to gambling on whether I would continue to bend A-arms or not. The solution was pretty simple, I found a low-priced-alternative to costly aftermarket A-arms. Now A-arm DNFs are a thing of the past. Racertech sells a quality solution for under two hundred bucks. Their brace kit consists of two halves for each arm, when bolted together the stock A-arms are transformed into a solid one-piece-member, which substantially increases the tensional rigidity of the A-arms. With hardware included, I was able to install the braces in about a half hour without the hassle of taking anything apart on the machine. 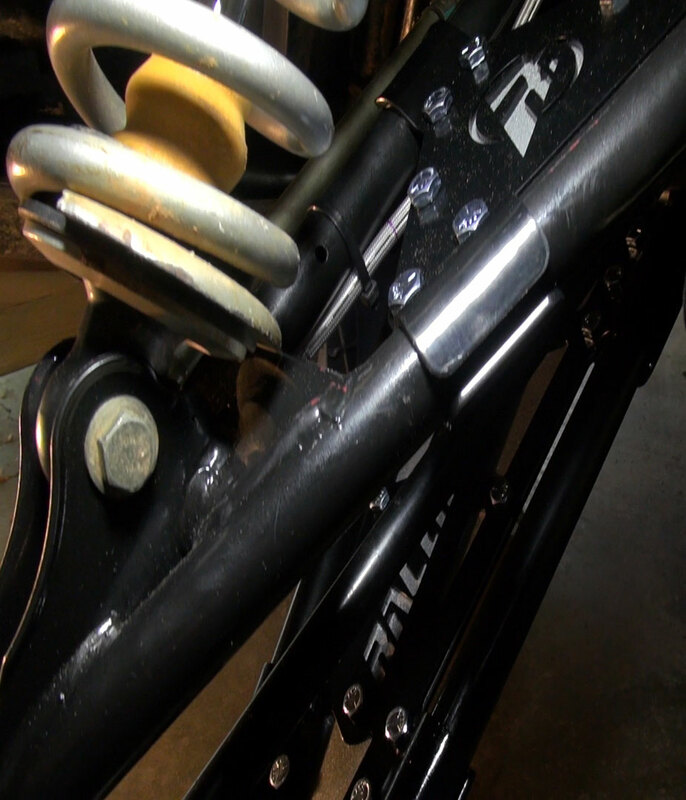 As with any Racertech part that I’ve seen, the high-quality fit and finish of this kit shines. 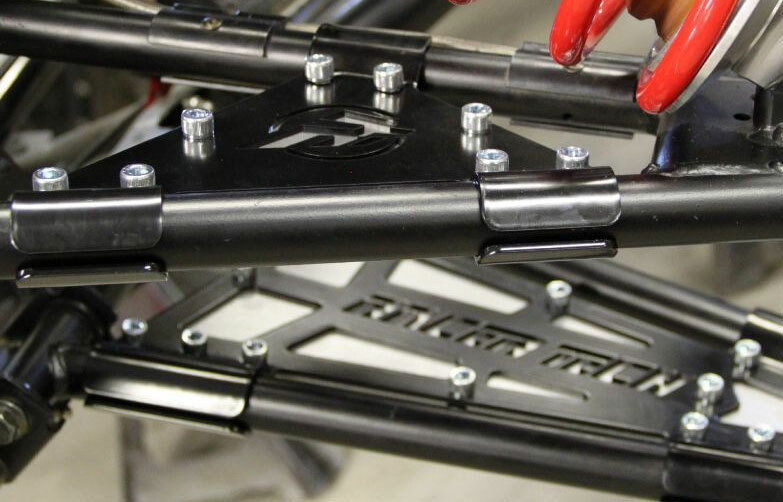 They’re made in the US with American steel and available for all years of the RZR XP 900. As you’ll see in the video above, I put the stock Polaris through some pretty severe abuse by racing it in the XC2 class in the GNCC Series. After a few months of racing, I noticed I bent one of the A-arms but thanks to the brace it didn’t get folded up like I’m sure it would have if I didn’t have the brace on, and I was able to finish the race. 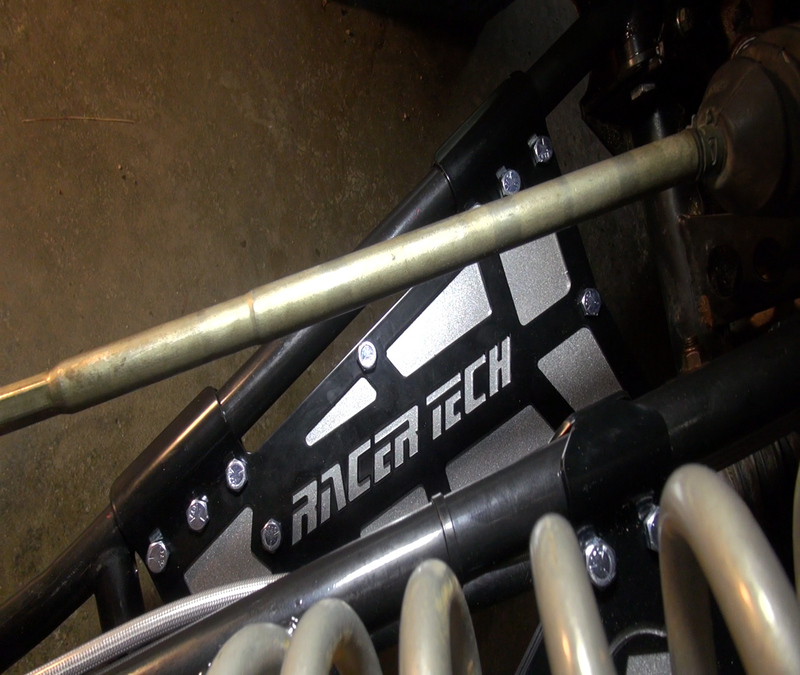 If you ride or race and don’t want to spend over a grand on a set of aftermarket arms for your machine, I highly recommend spending $195 and bolting on Racertech’s A-Arm Brace kit.